Internet is a huge repository of information. There is very less possibility that a search query you put in Google would not return any result. All this information, if you realize, are freely available and ads play a vital role in the revenue flow. But still many people just block ads because they find them irritating and annoying. If, however, income from ads were to stop, the information flow would stop too. A major part of the internet’s information source comes from personal blogs which are handled individually by common people. As such, a considerable amount of money is spent on site maintenance purposes. Ad revenue helps bloggers and site owners to pay these maintenance bills. Moreover, income from ads let site owners have more interest in continuation of information flow. If that is the case, bloggers and site owners have the scope of turning their passion into a profession. Without sufficient income, owners would lose their interest to keep their website running and flow of information would eventually stop coming. The public generally do not donate for supporting the bloggers. 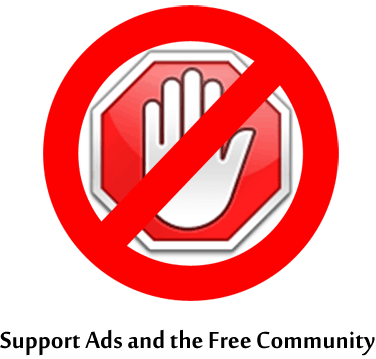 If they use ad blockers too, they are opposing flow of information in a way. People might have a wrong notion that the percentage of users who use ad blockers is few but nevertheless, the bloggers do suffer losses because of them. Nowadays, many Antivirus softwares also come with ad blockers and are activated by default. So there are users who aren’t even aware of actually using ad blockers. It should be kept in mind that information is meant for the general public and any loss on the contributor‘s part would reflect back to the users themselves.